The scientist at the centre of "climategate" says he contemplated killing himself after leaked e-mails were seized on by sceptics. 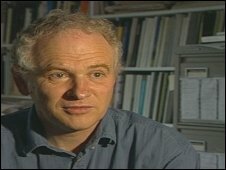 In an interview with the Sunday Times, Professor Phil Jones also said he had been provoked into sending the e-mails. It was claimed the e-mails, leaked after a University of East Anglia server was hacked into, showed climate data was being manipulated. Prof Jones, 57, said he had received death threats over the incident. He told the newspaper: "I did think about it, yes. About suicide. I thought about it several times, but I think I've got past that stage now." He agreed it became his "David Kelly moment" - a reference to the scientist who killed himself in the aftermath of the "sexed up" Iraq intelligence dossier claims. Professor Jones, 57, also said he received death threats in the aftermath of the scandal. "People said I should go kill myself. They said they knew where I lived." The row erupted last December when hundreds of messages between scientists at the University of East Anglia's Climatic Research Unit (CRU) and their peers around the world were put on the internet along with other documents. Some allege one of e-mails suggested Professor Jones - then head of the CRU - wanted certain papers excluded from the UN's next major assessment of climate science. He strenuously denies this was his intention and says other e-mails have been taken out of context. Critics of the scientific consensus have claimed that the e-mails undermine the case that greenhouse gas emissions from human activities are causing global warming. In the interview, Prof Jones acknowledged that he had not dealt with requests for data in "the right way". But he added he was provoked by those obstructing his work into writing messages that his detractors claim called on colleagues to destroy or withdraw information. "It was just frustration. I thought the requests were just distractions. It was taking us away from our day jobs. It was written in anger," he said. "I am obviously going to be much more careful about my e-mails in future. I will write every e-mail as if it is for publication. "But I stand 100% behind the science. I did not manipulate or fabricate any data and I look forward to proving that." But he denied he had deleted any data. He told the newspaper: "We have no data to delete. It comes to us from around the world. We interpret data. We don't create or collect it. It's all available from other sources." The interview also revealed that he has lost a stone in weight and is on beta-blockers and sleeping pills. Meanwhile, shadow foreign secretary William Hague has denied there were members of the shadow cabinet who did not believe there was a strong scientific base for climate change. In an interview with the BBC's Andrew Marr programme he said there was a legitimate debate about climate change, but that - as a precaution - it was important to take action. "My own view is even if you are agnostic, even if you thought it was 50% likely the science was right, there is man-made climate change, then that would be a sufficiently massive risk to the whole future of the planet and the human race. "Then you would have to take pretty drastic action and have the sort of international agreement being looked for at Copenhagen."